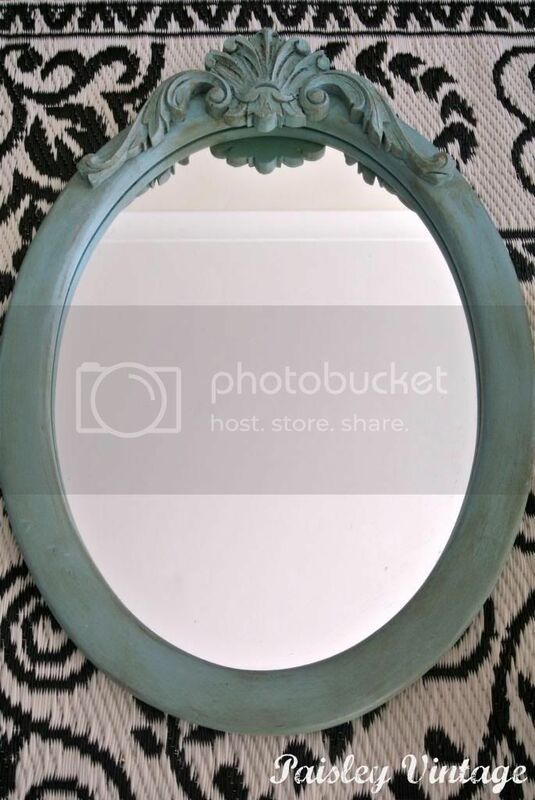 Making Junk Look Amazing – a mirror makeover using dark wax! 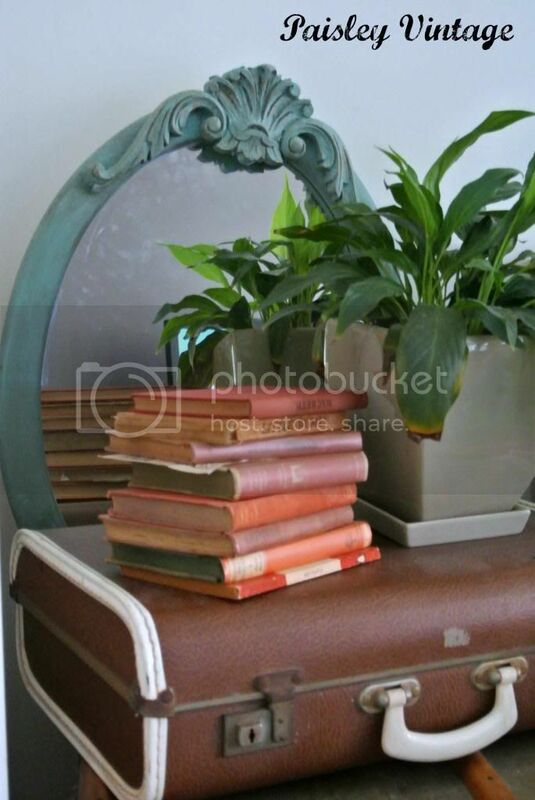 The ad said it was a vintage goldy / brown mirror and I snapped it up immediately. I didn’t look much at the photo as I was looking for a few smaller items for the market stall I was getting ready for. When I picked it up, well goldy / brown was actually orange pine. Oh well, lucky I can paint! Part of the carved piece was broken so I had to do a little repair work first. As my dresser project used less than a third of the tin, I decided this girl could use a little Annie Sloan Treatment too I painted on two coats of paint, fairly roughly as I wanted a little texture on the rim. I used the dark Annie Sloan wax and I think it turned out great. I read up a little as I’ve never used it before, and followed instructions (for once ) I applied one coat of clear wax and then applied the dark. I was tentative at first, but I loved the look immediately and so went to town! I love the kind of grungy aged look it gives it, it really made something beyond ugly look great I’m glad I tried it out first on something small, and something with loads of crevices. I think the wax makes the curves really stand out. My favourite part by fair is the carved piece at the top. When I picked it the lady told me it had been hand carved, and you could tell from the shape of the groves that it had. But in orange it just looked terrible. 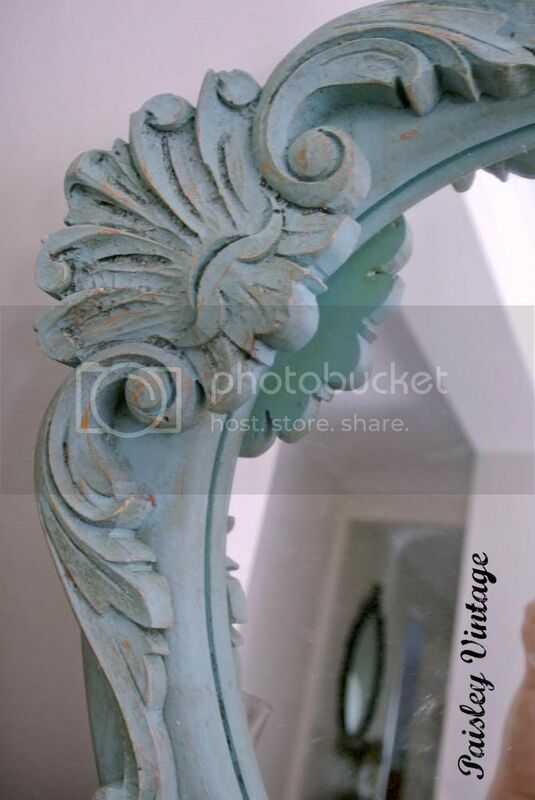 In Provence with dark wax it looks like what I thought it was going to be – a vintage mirror. 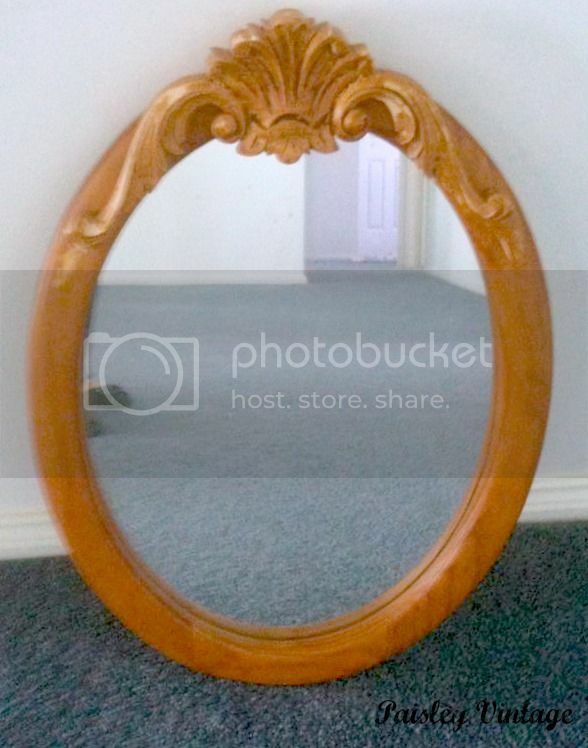 I had this mirror tucked away in my lounge room for all of a day before she was snapped up by a lovely lady from Facebook. I was half inclined to keep her, but kept reminding myself that had bought her to sell, so should stick with it! 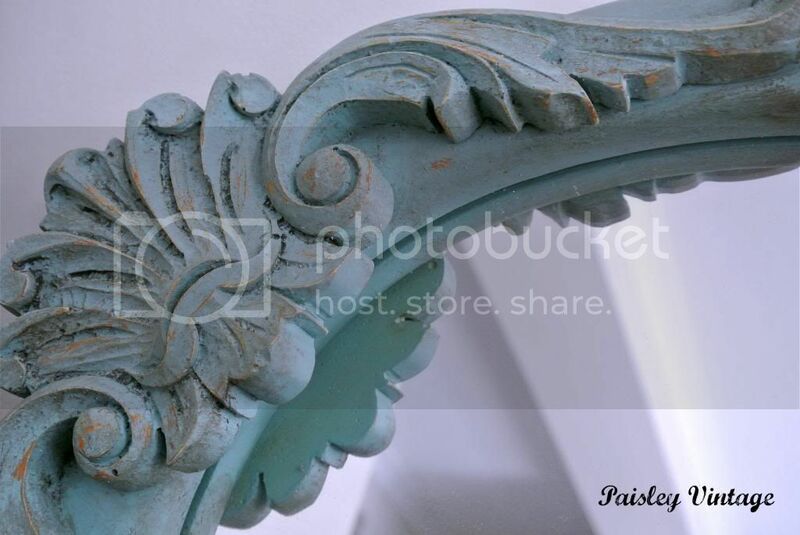 The post Making Junk Look Amazing – a mirror makeover using dark wax! appeared first on Paisley Vintage.